They say that age is a very high price to pay for maturity, and that may well be the case for some people who suffer with arthritis – but it doesn’t have to be true for you! I have seen so many people turn back the clock when they take up a Gentle Yoga Practice! They experience great improvement in dealing with symptoms, as their flexibility, range of motion, and ease of movement are enhanced, regardless of their type of diagnosed arthritis. This has a ripple effect into every area of their lives and as an added benefit they also experience great enhancement in their psychological well-being. Experiencing this myself first hand, and being a witness to many others who are improving their overall quality of life through Gentle Yoga is very inspiring. When we experience any pain, and especially pain caused by arthritis, we have a natural tendency to want to eliminate or reduce our activity level. This creates a multitude of other health challenges because our bodies are designed for movement. By moving our muscles we are strengthening and toning them, as well as keeping our connective tissues vital. We are also moving blood and lymphatic fluid, which purifies our body and keeps us feeling great. Moving stimulates our joints to release synovial fluid, which eases the movement of our bones inside the joints, so the more we move, the easier it gets, and the better it feels! So while we may be reluctant to move, surrendering to this feeling will actually exacerbate the problem, and there is a very real danger of creating a downward spiral in all areas of our health, including our emotional well-being! The key is to find and engage in movements as often as possible, but only the kind of movements that create a feeling of “ahhhh!” instead of “ouch!”. When we practice Gentle Yoga, we are moving with awareness and attention, as we stay within the range of motion possible for us during that practice. If we are moving into the pain zone, we back off and do less, or do something different. When we slow things down by connecting the breath to the movement and feel the movement of prana (a Sanskrit word meaning energy or life-force and vitality), we can absolutely see results in one session. In my practice, a very effective technique is using the power of visualization to breathe light and spaciousness into areas that are feeling uncomfortable or painful, and sensing the exhalation as releasing tension from these areas. Seek out a Gentle practice with an experienced teacher who keeps you out of the pain zone. I encourage you to explore classes in your area. Prior to attending a class at a studio or fitness facility, perform a due diligence exercise, by contacting the teacher before you go, to learn what style of yoga is taught, and to be sure they have experience with others dealing with Arthritis. Ask them about their experience with methods for modifying and adapting poses. Find out if they will provide you with testimonials or references from others who have been working with them successfully to manage, reduce, and reverse their arthritis symptoms. Many studios offer Gentle and Restorative classes, and teachers from the Iyengar, Kripalu, Sivananda, Integral, and Viniyoga traditions typically have more to offer those who are dealing with arthritis. Attend a group class, or ask for a private session. The teacher could also design a 15 or 30 minute daily personal practice plan for you in between visits to the studio, which enables faster results. If you don’t have a teacher close by that you feel comfortable working with, many teachers offer classes online via Skype or a similar service. 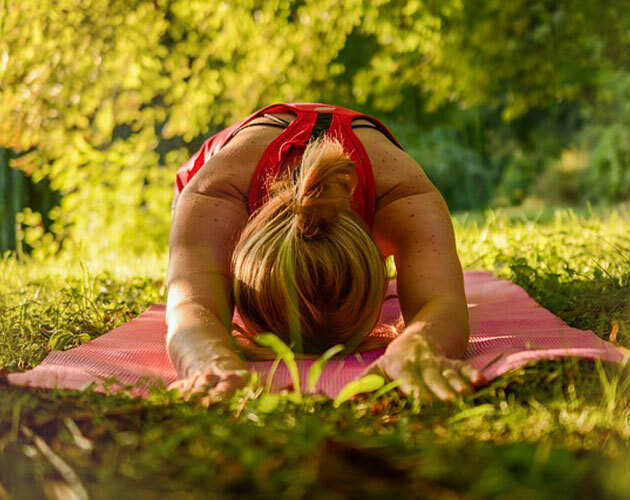 Please be aware that there are many styles and traditions of yoga, including Hot Vinyasa Flow Yoga, and Ashtanga Yoga both of which are very vigorous and challenging forms of practice that have continuous flowing movements linked with the breath. Some practices are not easily adapted to meet everyone’s individual needs, and these classes could actually be very detrimental. So take a conservative and very gentle approach to your practice and stay safe. As you continue your practice and sense improvements you may want to increase the intensity of the practice very gradually, using the messages your body is giving you as a guide, and under the guidance of a trusted, knowledgeable and experienced teacher. This fast growing field is helping many people on a one-on-one basis, so try Googling “yoga therapy” and speak with a therapist to learn how they could help you. There are other areas of your physical and mental habits of health that could support your efforts to reduce and eliminate your arthritis symptoms. Hydrate – Drink at least 2 litres of water every day, and add lemon to alkalize your body and facilitate flushing of toxins. Food sensitivities – Have you been tested for food allergies or sensitivities? Engage the services of a Naturopath, Ayurvedic doctor, or a Holistic Nutritionist who will take the time to help you explore the nutritional aspects of managing arthritis symptoms. Meditate – Research has shown that a regular meditation practice is an excellent way to deal with chronic and acute pain. The thoughts we think have a direct impact on how we feel, including our relationship with pain. Meditation is an excellent way to identify and clear out negative thought patterns that may be hindering our healing process. Deep rest – Activating the parasympathetic nervous system through resting and restorative yoga practices facilitates and accelerates the healing process and helps with emotional balance. Find an experienced restorative yoga teacher who can help you, either in a class setting, or online. Also, create an environment that allows you to enjoy at least 8 hours each night. Turn off all electronic devices at least 2 hours before bed, take a soothing bath, and put your legs up the wall to help you sleep more deeply. Allow yourself to feel HAPPY!